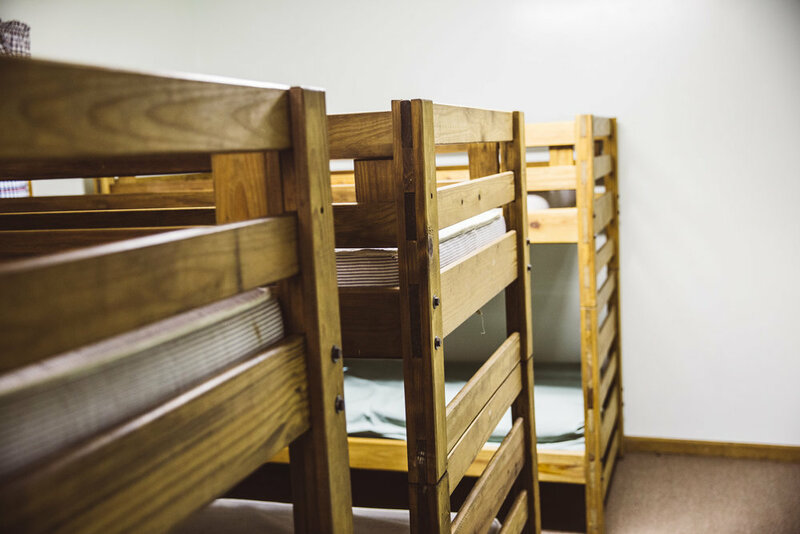 Camp Frederick offers a place apart, a place where you can feel connected to the Creator and the world He created. We are blessed with 100 acres of beautiful land that has a variety of ecological features. A walk around the camp takes you through new and old growth forests, healthy streams, rolling hills, glacial rocks, peaceful meadows and large fields. Looking for a little excitement? Ask about our high ropes course, zip-line, climbing tower and rappelling wall. Looking to bring your group closer together? Spend some time working with our trained staff on our team challenge course. Want to do your own program? No problem, there is still plenty to do. Hike or cross country ski over 5 miles of trails, spend some time playing in the creeks, play some ball or volley for serve on the volleyball court. There’s still more; play some football in the big field, go sledding, play GaGa ball and have a camp fire. You’re bound to find something that peaks your interest. Camp Frederick offers a variety of facilitiesranging from a place to pitch a tent to rusticcabins to a handicap-accessible facility. Full kitchens are now available in all facilities except the cabins! 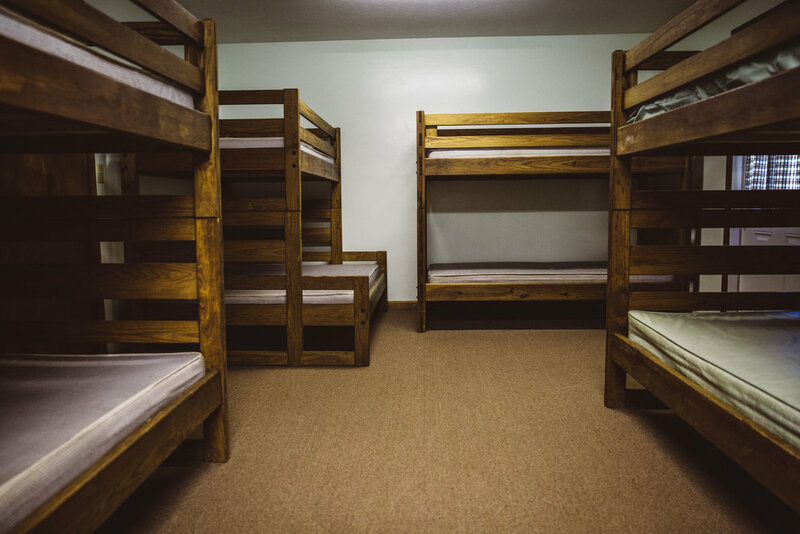 The best part is you pay by the building, so group size is only limited by the number of beds. Not quite ready to sleep on the ground with the bugs? That’s ok. Stay in one of our six cabins along the hill. These cozy three-season cabins will make you feel like a pioneer, especially our Log Cabin. Two have electric, and our log cabin has a fireplace. Let us program a part of your camp experience and have an amazing time together! Ropes course elements/ Climbing Wall/ Zip line- $18.00 per person- $9.00 per person for added 2nd element. Pitch a tent or park a trailer in our campground. Enjoy the sounds of the creek as it rambles by and allow the sounds of nature to put you to sleep. The campground offers toilet and shower facilities. If you want a little more adventure, ask about other camping locations around camp.